doing its due diligence, PCC chose to partner with Brunswick Bowling. from conception to completion. They are the one-stop bowling shop. recliner auditoriums, a ropes course, a 3,000 sq. ft. gaming arcade, and more. 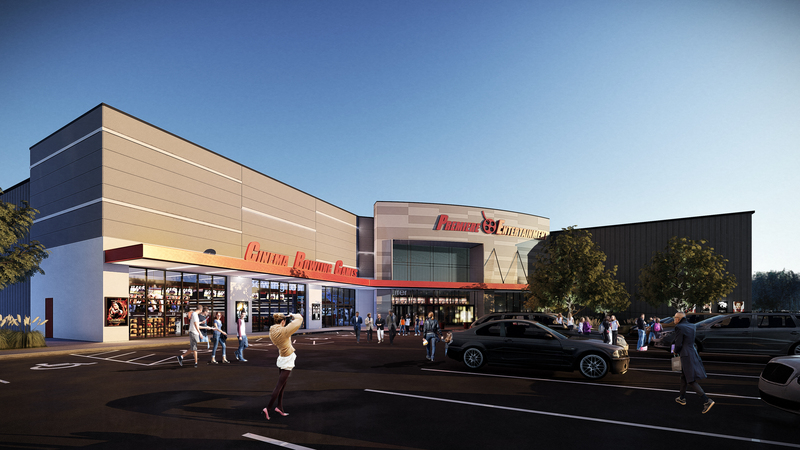 "This is going to be one of the most state-of-the-art family fun centers, located right here in St. Clair county, that includes not only a bowling center but a full-service restaurant and bar with 12 draft beers, including local craft beers,” said Vaughan. “We’ll have a Starbucks right on site to make Frappuccinos and other hot beverages that everyone loves. For the kids and kids at heart, we have a full-service arcade that includes a ropes course. Our party rooms will be available for birthday parties and corporate events. Premiere is in the business of bringing the fun, and that's a lot to be excited about"
Pinball Wizard® bumper system, ball returns, masking units, and Center Stage™ Furniture. Brunswick provides all the expertise and products it takes to run a highly profitable bowling operation. Find out more at brunswickbowling.com/cinema/.